Since rebooting MFT3F (after the initial project was finished) the aim has been to only obtain Bollywood soundtracks that I know or at least think I'll like. Inevitably though, the odd mispurchase will sometimes occur. Like with 'Barsaat Ki Ek Raat'. In my defense it was part of larger lot I recently acquired; I probably wouldn't have given this soundtrack much thought otherwise. Or I'd have at least checked it out first. Because truth be told, it's a bit of a dud. The melodies are forgettable and the arrangements mostly uninteresting. A cool synth and flute based intro gives hope for 'Haye Wo Pardeshi', and it's by far the best song on the album, but still a bit underwhelming. At least when you know what RD Burman was capable of. One of his lesser known soundtracks for a reason I guess; one for the completists. Nothing goes as badly with Indian music as Disco. Disco kills Indian music. The 80s is the start of the Disco infection, and with a few notable exceptions, once the 80s rolls around, it's a good bet the album is going to be lousy. Disco influence was like an Iron Curtain slamming down on all that great music from the 60s and 70s. It was an uncontrolled corporate rot, affecting all genres all over the planet. I'm not surprised you were unimpressed with this one. Well to be fair, there's really nothing particularly disco about this album. And regardless, I have to disagree with you about disco killing Indian music (Unless Indian music has very strict limits for what is allowed and what isn't, which it doesn't. If it did, this blog wouldn't exist.) I can think of - and I've posted - loads of awesome Bollywood disco. I can think of loads of rubbish Bollywood disco too, but I can think of loads of rubbish any types of music, Indian or otherwise... but I'm getting the impression you just despise disco in any way, shape or form...? You have made me extremely happy today! Thanks a million!! Sorry it doesn't do much for you. This was a double version movie made in the backdrop of Darjeeling - a well known hill station of West Bengal and India. The language were Bengali and Hindi. Tunes have a connection with Nepali pahari (hill) touch. The bengali version was a huge hit. Well, I admit, I'm not a Disco fan, but I'm particularly bummed out about it when I find it in Indian music. 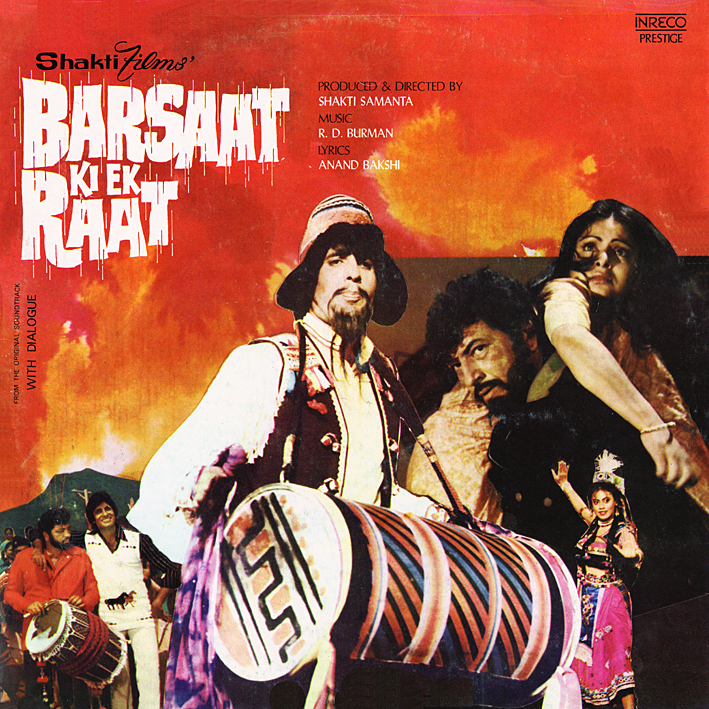 Indian music has a tradition of percussion going on that's unique and complicated, and just has so many things going on in it -- the number of of percussion instruments alone makes it unique, whereas Disco is generally limited to this 4/4 time signature thumping that never deviates throughout whatever number is being played. So, for me, the best way I can describe it is, Disco, as far as Indian music is concerned, puts the genre into a sort of dumbing down process.